Looking for a few ideas to enjoy your summer AND get inspired for next year? Here is our list. 1.) Binge watch a target language series on Netflix. 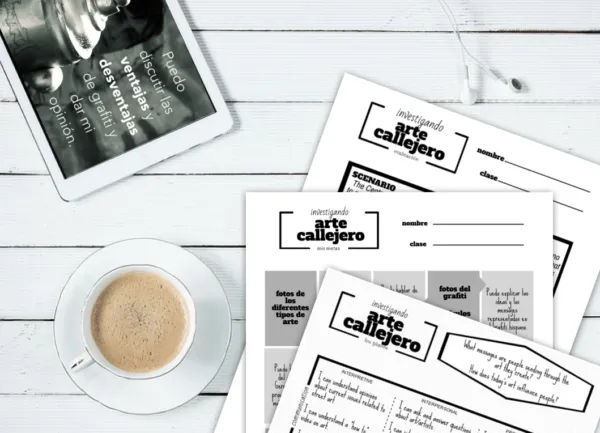 You spend so much time making sure students are getting target language input to stretch their proficiency, strengthen their interpretive skills, and introduce them to new cultures. Now it’s your turn. Netflix has a variety of shows so try out the pilot episodes of a few until one grabs your attention. (Don’t forget, you can also add subtitles to most everything on there). 2.) Go on a cultural adventure. Take a day trip to a big city! Where ever you live, you’re only a short flight or drive to an exciting cultural hotspot with tons of native speakers… New York, LA, Chicago, Montreal, Miami, San Antonio, San Francisco’s Chinatown. I know vacations aren’t always in the budget, but if you search for flight or hotel deals, you can do it in a very affordable way. Wander around, take a form of transportation you don’t normally use, talk to locals, or visit a market. Even experiencing a culture OUTSIDE of the ones you teach can be really refreshing and inspire new, fresh ideas. 3.) Enjoy a meal at an ethnic restaurant. Shake up your dining routine and try a new dish from another target culture. Search out a new restaurant and invite a friend or family member to join you. I had the best dim sum at Nom Wah Tea Parlor in NYC’s Chinatown and Kara and I finally tasted some amazing poutine at La Banquise in Montreal. Both were top notch experiences! Teachers are so accustomed to eating quickly during their busy schedules so it’s time to force yourself to slow down and really savor a unique meal. Plus, it’s a great way to support small business owners in the community! 4.) Catch up on pop culture. Discover the latest and greatest music through iTunes “new music” or with a new TL station on Pandora. When you find a song you love, add it to a new playlist for next year! 5.) Give yourself permission to take a break. While it is last on this list, it is probably the most important. If you’ve been dying for time to rework an old unit or reorganize files on your computer… by all means – go for it! However, it’s okay to put work on hold during the summer while you rest, enjoy time with family and friends, and do the things that recharge you! Then when you’re (mentally) ready, start to play with new ideas for next year. 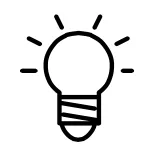 My best ideas usually come when I’m traveling or chatting with friends or when I stumble across something amazing by accident. So enjoy yourself, do what you love to do, and let inspiration come to you! What’s on your TO-DO list during your summer vacation? Share your Netflix recommendations, travel deal tips, or other tips to make the most out of summer break ! I want to make a new music playlist with some new releases from this year. Any suggestions? They sing with Prince Royce in his new “90 minutos” song that I expected to hear a lot during the World Cup! I love them too! I love this post! We all have to take care of ourselves, and it’s ok to binge in the summer. Items, 1, 3, 4, and 5 are all about binges (yay!). I love Item 2, dong things outside our target culture. Every summer I love to take a beginner language class, to put myself in the students shoes. It’s ASL this summer, wish me luck! I’m inspired by your drive to learn new languages! I bet your students are, too! Since I use Spotify a lot in class to play French music for my kids the Discover Weekly playlist that it creates for me consists of mostly just French music. I’ve found a lot of new music through that whether it’s currently on the top charts or an oldy but goody. I’m wanting to dive into some French music this summer so I can hear the langauge more… any specific artist/group suggestions? Netflix has a series called Money Heist (Casa de Papel)). It has the first two season up at the moment. It is good! I love all of these! 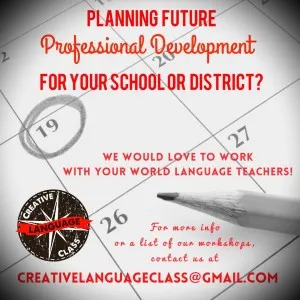 As World Language teachers, we are constantly looking for ways to keep our language skills up over the summer. I love the idea of binge watching a Netflix series! 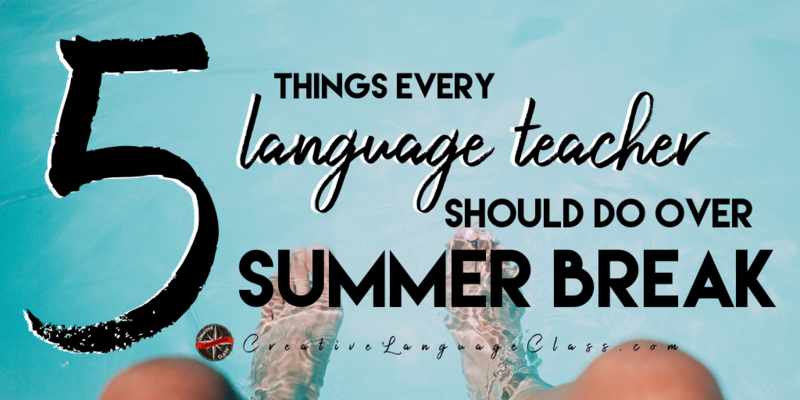 You might be interested in my recent blog post: http://teachinginthetargetlanguage.com/5-ways-to-keep-our-students-from-losing-their-language-skills-over-the-summer/. 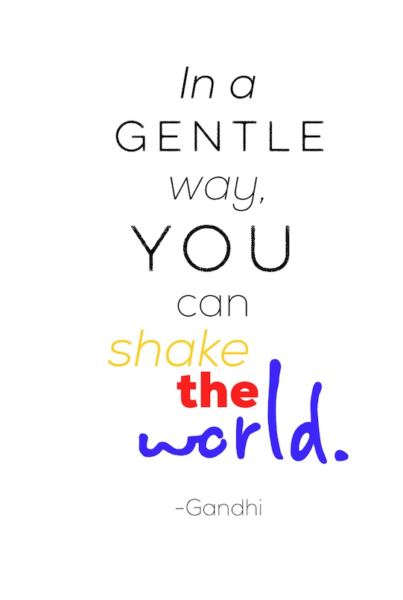 Although this post is mainly directed toward students, much of this could easily apply to teachers as well. Thanks for sharing your ideas and enjoy your summer! I’m heading to Japan!! And binge watching a Japanese soap opera!!! I visited “Prado Museum” in Madrid for FREE. Wow! Great tip! Thanks for sharing!